It is time for another box opening for a Total Beauty Shops Collection Box! With all the glam of awards season, this box is packed with fabulous items to get you Red Carpet ready! This box is "Star Studded and A-List Approved!" 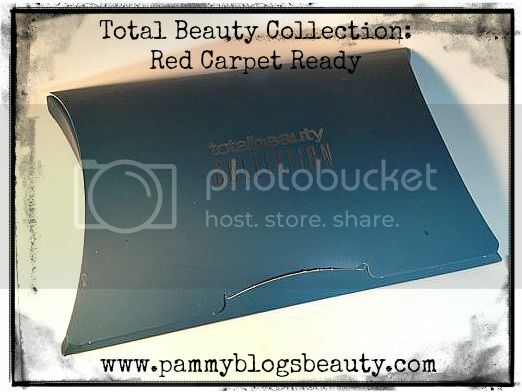 In celebration of awards season, TotalBeauty.com has put together a red-carpet worthy Collection. The Collection features 5 amazing skin care and makeup products including a full-size Cailyn Tinted Lip Balm in Big Apple and a full-size Sheswai Nail Lacquer. Plus, to cherish your most beautiful moments, they've included a MailPix.com Photo Brag Book as a free bonus. 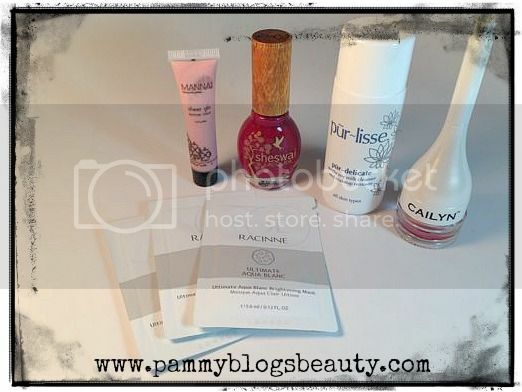 Cailyn Tinted Lip Balm in Big Apple: (Full Size!!! $19.00 value) What a pretty true red! Now, I will admit, I am not a red-lips girl. However, this red really looks flattering. Beauty boxes are great for getting me out of my "comfort zone" and prompting me to try different products like this lip balm. I have tried Cailyn's eye shadow from a previous Total Beauty Collection box. So, I am excited to try their lip balm! Shewai Nail Lacquer: (Full Size!!! $16 value): I always love finding polish in a beauty box! This is a deep burgundy red. This is another new brand to me. So, I am excited to give it a try. Now, I am more of a pink nails girl...but, again, this gets me out of my "comfort zone"! Pur-lisse Pur-Delicate Gentle Soymilk Cleanser: (Deluxe Sampe size $12.65 Value): At 1.7 oz, this is a very generous sample. I have heard great things about this brand. So, I am super excited to try this! For my sensitive skin, gentle cleansers are the way to go. I can't wait to use this with my Foreo Luna device! Manna Kadar Sheer Glow Shimmer Lotion: (Deluxe Sample size $8.00 value): Another new brand for me! With warm weather around the corner (fingers crossed...this has been a ridiculously long winter), I will certainly need more shimmer lotions. I only wish this sample was larger. Racinne Ultimate Aqua Blanc Brightening Mask: (3 foil packets with a $5.00 value): I am glad they gave 3 of these as one probably would not be enough for a full mask. I will certainly try this. Of course, I wish it was a deluxe size or a full size sample...but, still glad it is included. Overall, I think that this box is a really great value for the price! The value of this box is $72.65! Wow!!! I am actually most excited about the coupon for the Free Brag Book from MailPix.com! With a newborn and a toddler at home, you know I have a ton of photos that need printing. I can't wait to design my brag book! :) I am also super excited about the Pur-lisse Cleanser as it is a brand I have wanted to explore. What intrigues you the most about this box?? ?